There are many reasons why people hire locksmiths such as replacing locks, repairing locks and upgrading and installing new locks. You may even have hired a professional locksmith service in the past for one or more of these reasons. It’s also more than likely you had time to research services and really think about what is important to you. But what happens when you are in need of an emergency locksmith? The experts at Best Locksmiths are available 24 hours a day, seven days a week to take care of your emergency lockout situations! The experienced locksmiths at Best Locksmiths have provided the five most common circumstances to call for their experienced locksmiths. 1. When you are locked out of your home, vehicle or office – If you find yourself in this situation during the day you can easily call a friend, relative, neighbor or work associate with a spare key to help you out. But what happens when you lock yourself out in the middle of the night. The circumstances are definitely more stressful and disturbing but the professionals at Best Locksmiths are no more than a phone call away and will arrive promptly to take care of your lockout issues. 2. When you have lost or misplaced your keys – One of the most frustrating and frightening things that can happen to you is the realization that your keys are missing and you don’t know where to find them. Especially when you start thinking about the fact that your keys are either misplaced or you have lost them. Whatever the reason, the professionals at Best Locksmiths recommend replacing your locks immediately to avoid potential robbery. 3. When safes, vaults, security drawers and other types of security features fail to open – when you need important papers from a safe and you need them immediately, the experts at Best Locksmiths will arrive promptly to take care of your emergency situation quickly and efficiently. 4. When you go on vacation – going on vacation should be relaxing and a time to de-stress but imagine the feeling when you return from vacation only to be confronted with a home that has been robbed and your precious valuables gone. Before you leave for your well-deserved holiday be sure to have your locks analyzed by Best Locksmith’s emergency mobile locksmith service. 5. When you are witness to a car accident or a home emergency – should you witness a vehicular accident or home or office emergency and someone is trapped inside, contact 911 immediately then call for the assistance of the professionals at Best Locksmiths. As a witness, you can provide valuable help to the injured individual by calling our emergency locksmith 24 hour hotline. Our locksmith may be able to make the difference for the person trapped inside, but keep in mind that can only be possible if you make that phone call first. Contact Best Locksmiths today and speak with a customer service professional about lockouts and all of our other emergency and non-emergency services. We have locksmiths and security technicians on call 24 hours a day, 7 days a week to help take care of your emergency situations by providing solutions at an afford price 365 days a year! There are a few ways that you can tell a car key from a regular house key or padlock key. One of the ways is usually that the size is bigger and car keys often have a larger plastic grip at the top that has a logo of the car make that you are driving. They are also more intense to duplicate depending on the kind of key that you are using for opening your car door and driving it. Best Locksmith has a list of the types of car keys and how they are cut. We will talk about the differences and what it takes to make these automotive door, trunk and ignition keys. Mechanically Cut Car Keys or Traditional Method: This has been the most widely used way to manufacture keys for both homes and cars. It is still used often in the making of residential and commercial keys and in some makes of car keys. This is the cutting that uses a drill and different tools to cut a very specific shape out of the metal to make the key. This type of key is easier to duplicate and less secure than the other option. The process is simpler but more mistakes can be made in the cutting process. Laser Cut Keys: This is a newer kind of process that uses lasers to cut the metal as the name suggests. The lasers are much more accurate and that makes the key less likely to be duplicated without you wanting it to be. The cutting technique that is used is very accurate and has been put in place of the older version in many car manufacturers around the world. The reason is that accuracy and the technology that makes it much hard to be hacked. 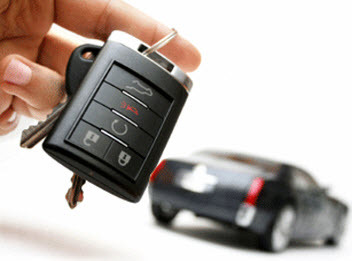 Transponder Chip Car Keys: This is the type of key that is most common among car keys. Depending on the car that you bought it can either be cut mechanically or by a laser. The key comes with a microchip in the handle part as another way to link it to your specific car. It also makes it harder to get into that particular car without the key. Smart Car Keys: These are a great newer trend that many car companies are using. The key is a plastic piece that does not actually use a traditional metal key. It is outfitted with a microchip that allows it to open the car doors and start the ignition without it being inserted into the actual car. The microchip and smart key just have to be within a certain distance of the car for it to work. Most people can just keep it in their pocket to engage the car. Valet Car Keys: Almost all cars that you buy will come with a valet key option. This is basically a backup key that has a few minor changes to it. You would give this key to the valet attendant and they would be able to access the car doors and the ignition but not the locked glove box or trunk. This lets you store some valuables and still send it to valet without having to worry about having your possessions stolen. For Professional Automotive Chipped & Broken Car Key Repair & Replacement, call the Full Service Locksmith Professionals at Best Locksmiths. Serving Racine, Kenosha, Oak Creek & Burlington Wisconsin. For most of us the holiday season means gathering with family and friends but for criminals the holiday season is an opportunity to make money by breaking into homes and stealing gifts, electronics and jewelry. Last year alone, over 1.6 million residential burglaries were reported and about 300,000 of those were home invasions. During the months of November through January, most areas see a significant spike in crimes. It has been documented that a thief can be in and out of a residential home in less than 6 minutes. The expert locksmiths and security professionals at Best Locksmith recommend using deterrents to slow down and prevent criminals from entering your home. Here are 8 tips from the professionals at Best Locksmith to help prevent a break-in and protect your home during this holiday season. 1. Electronic Guard Dog – sensors work through doors and windows to detect motion in a range of 30 feet or more, and will respond with a very realistic barking sound. Most burglars have no desire to tackle a vicious canine and will immediately retreat. 2. Lock your Doors & Windows – while this may seem obvious, it is amazing how many of us get distracted and forget to lock windows and doors. Do a quick walk through any time you are preparing to leave the house. It can make the difference to a thief easily gaining access to your home. 3. Driveway Alarm – will set off a chime when a vehicle enters your driveway and can sense metal moving within 13 feet of the wireless unit. You can even upgrade to a model that will detect moving individuals at back patios and pool gates or any other area of your property that may be vulnerable. 4. Strategic Landscaping – be sure to plant low growing vegetation in specific locations to minimize places that would be robbers can hide. 5. Secure Valuables – install a safe to keep valuable items and keepsakes out of harm’s way. 6. Install Double Key Deadbolts – police departments report that 34% of all thieves break in through the front door. The best form of defense is to get a strong locking system at all entry points throughout your home. 7. Motion-Sensor Floodlights – Sometimes a sudden burst of light can immediately deter burglars. Some Motion activated floodlights can sense movement up to 40 feet away and dusk to dawn settings allows the light to automatically turn off during the day. 8. Do not Advertise – With so many different social media sites, it is easy to unwittingly give away too much information. It may seem innocent enough but it gives strangers the ability to know when you are away from home and present an opportunity to break in and rob you of your valuables and belongings. During the holiday season, there are people and gifts and your belongings that you want to keep safe and secure. The professional locksmiths at Best Locksmith are available to consult with you and provide advice on the best security features to keep your home protected from would-be-thieves and criminals all year round. Contact us for all your locksmith and security needs. Keeping your valuables safe and secure is a necessity in today’s world of criminal ingenuity and continued spikes in occurrence. Whether you are protecting $1,000, $10,000 or more, you are better off with a safe in your home to keep your valuables and cash from being stolen by a burglar. Unfortunately a locked front door is no longer enough to keep thieves from gaining access into your home and stealing your belongings. When you invest in a safe, you are adding an additional layer of defense against criminals and making it more difficult for them to invade your privacy and take away what you have worked so hard for. Not all safes are created equally, and some are more secure than others. At the same time it is possible for some home owners to go overboard and invest in a safe that is overkill for a home. Knowing what type of safe is best for your home, office or work place will help you better protect your assets from being stolen. A popular and proven safe for places like a gas station or convenience store is a deposit or drop safe. Deposit safes are also popular in restaurants as well. This type of safe allows employees to drop in deposits, the nightly cash count and important receipts without actually opening the safe. The combination is held only by upper management or owners who then can count the deposits that were made. This keeps employees honest and cash secure from would be thieves. Fire rated safes are popular in homes and offices, usually keeping important documents stored away rather than valuables such as cash or jewelry. 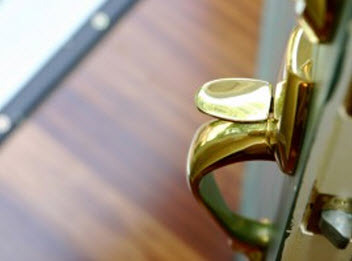 Fire rated safes are commonly used to hold documents like a family trust, will, important historical or genealogical transcripts, photographs and journals. Fire rated safes provide the security that these belongings are safely tucked away and provide a certain peace of mind to the person who is responsible for such items. Other types of safes include data or media safes, which keep electronic data safe and secure by controlling temperature within the safe. Electronic data can be deleted at relatively low temperatures. Data safes are made to protect the priceless and essential information from high temperatures and smoke damage. Gun safes are another popular investment for home owners who have a large collection of fire arms. Gun safes not only protect your fire arms from being stolen, but also provide a level of safety within your own home, making it difficult for children to get access to your guns. Wall and floor safes are becoming more popular with businesses and home owners, as they are difficult for any criminal to locate. Contact Best Locksmith today in Racine, Kenosha, Oak Creek & Burlington Wisconsin to find out what type of safe will best protect your valuables. Keeping your home and your family safe are top priorities and require specific steps. The locks on your home are a big part of you and your family feeling safe and secure from anyone who attempts to come in that is not welcome. Having secured locks around your home will make you feel confident in your security efforts. Often times homeowners take the right step in hiring a professional locksmith to ensure that their home is safe and secure. Hiring the right locksmith isn’t always about whatever locksmith number pops up first in your search. It is most important to do your research when hiring a locksmith as not all locksmiths are created equally. Most people think that all locksmith products are the same and so hiring a locksmith is easy because they all provide the same type of products. This is completely false; there are many different types of locks, alarm systems and keys in the world today. Some of these locks and keys are much more secure than others, while others are not so secure and come with a cheap price tag. Not all locksmiths use the same products, so it is important during your research to find a locksmith that uses high quality products that will provide your home with the security that you desire. Another myth about locksmiths is that all of them are available twenty four hours a day seven days a week. While having a twenty four hour locksmith comes in handy, especially if you have accidentally locked the keys in your car at a late hour of the night, you may be surprised at how many locksmiths do not operate twenty four hours a day or offer any type of emergency service. Some locksmiths only have set business hours and are not as devoted to customer service as other locksmiths. Finding a locksmith that offers emergency service can be difficult, but when you do find one, keep that number! Unfortunately not every locksmith is a certified professional; in fact some areas do not even require a locksmith to have a proper license. 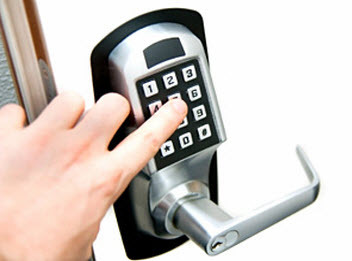 It is most important for you to do thorough research when looking for a great locksmith. Research a locksmith’s history, reputation, references and qualifications and read any and all customer reviews that are available. This will give you a good idea on their dependability, quality of work and cost of services. If you are looking for a professional locksmith that offers superb service and quality customer care, look no further than Best Locksmith. Contact us for quality locksmith services!